Hire a Professional Content Writers for potential business. Professional Content Writers – Why do we need them? The internet has undoubtedly become the central hub for information and entertainment. New devices & applications are springing up so fast that there might be two more latest development in the market even while you are reading this. All of these developments are aimed to delight users repeatedly. Much of this information and entertainment is provided visually too. Even with all these non-stop amazing vibrant developments, the ‘written word’ still remains the silent dominant method for providing successful online content. Even visual images use powerful high quality content material. If there is any doubt regarding this cliché statement ‘content is king’, one would drown among the overwhelming facts supporting this immovable fact (so far). Hiring professional content writers to create valuable content is important in this context. This valuable content is going to be your absolute core from where your world of business shapes up and hopefully blossoms into a powerful planet. The need for high quality content adds yet another task to an already overflowing task list for most businesses. All these point towards hiring a professional content writer and yet we are just beginning to detail you on the number of reasons on why you have to hire them. Unique, relevant and high quality content mixed with powerful SEO tactic is a combo that could rocket your online standings to the top of the online charts and in the minds of your potential customers. Ideally, a good content writer has a solid base of SEO knowledge too. We recommend hiring a content writer who understands keyword research, citation sources, Google Penguin, call-to-action and the likes. Hiring such good content writers gives you a fresh perspective on different topics. You have a comprehensive understanding in your field and a newly hired content writer most probably will not have the in-depth knowledge that you possess. But they will research your business & provide a fresh viewpoint. This helps you in breaking the tunnel vision of the content you create since content writers generally are good researchers and end up with a new viewpoint that you might not be aware of. Most of you are business owners or other individuals who are not in a position to sit full time to create something (content i.e.) that could have a serious impact on your business. Hiring a professional content writer will save time and allow you to focus on other equally important business competencies. Though many business owners have an above average writing skill themselves, there is also a research and time-commitment to this task. One has to do your due diligence, engage in research, understand what the followers/audience wants to hear and then craft your content. This valuable time can be spent on a number of other things. 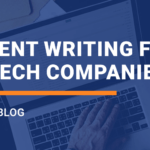 To capture an audience with your content and increase user engagement, traffic, brand reputation etc, hiring professional content writers should always be seen as a substantial investment for the future of your business. It would take an entire page (or two) to list down all the advantages but as you can see, hiring professional content writers gives you tremendous advantages especially in the long run. We will now take a brief look at the influence of content marketing in global campaigns. Going global might not be the best way to expand. Probably, your current market is big enough for you. But entering the international arena can, to an extent, make you immune from your domestic market’s fluctuations and give you more growth prospects. The last part, your potential for expansion and growth, is of course the overriding reason for you to be global. There are plenty of factors to consider and implement for global marketing. We will narrow it down to a few important ones and give you some valuable insights into the same. With regards to content writing and marketing, how can one use content marketing in several markets and that too in different countries? A major factor for succeeding in such global marketing campaigns is to locally adapt (or local adaptation). Doug Kessler (Creative Director of Velocity, winner of 2016 Content Marketing Agency of the year), stated that content marketing across geographies is a different animal. For example, let us look at a major localizing factor; language. You might be surprised to know that only 6% of the world’s population speaks English (well enough to conduct business). Generally, marketers are under-prepared to produce a global content. But due to the internet, it is also true that there is now a tremendous opportunity to reach people who speak different languages and are from different countries. Local professional content writers will not only create the content in that local language, but they will also be aware of the local traditions & the all-important cultural values. Additionally, he can capture the subtle nuances of that local language which will enable you to connect with that audience on a deeper & emotional level. This will not be possible using any online translators (Google, Bing or Baidu included). The professional content writer will also ensure that your brand is not damaged by ignorant awkward blunders (due to cultural ignorance & naïve translation methods). It is also important to note that sometimes localization isn’t necessary in every market. Many global groups use English only and do not translate content for all markets. Small & medium businesses are more likely to localize content on the other hand. Authoritative content, be it blogs or video content, is one of the best ways to strengthen your brand. In both B2B and B2C, global brands have used this pattern (authoritative information source) to build their brand image. A brand like Moz (B2B) has reached millions of consumers across the globe using this tactic. A B2C brand like Red Bull has also used video content to generate similar reach. You should clearly understand that without proper content (through professional content writers), this organic reach would have cost millions of dollars using paid advertising or media. To create a strong niche within the present global content marketing world, it is imperative that you design your content in such a way that it is globally acceptable. Yes, this is a tough challenge even for a content writer. But without even hiring professional content writers, the challenge becomes next to impossible as it is very necessary to boost your content visibility and be accepted by everyone if you are looking to go global. It is hard to create pieces of content that would satisfy the global consumer. Every piece of content might not be appropriate for every locality in the world. But using this same predicament, you can maneuver this problem to your advantage by building a content strategy in which your content reaches the global audience through different pieces on your site! If we still go deeper into this global content marketing topic, often the hardest part of a global project is to get the right tone of voice, phrase, overall vibe etc. It is hard to translate this properly across the globe. Like we have detailed in this article, these are some of the reasons on why it is absolutely important to have professional content writers you can depend on (in each region) where you plan to distribute content. For a truly global feel, content has to look and feel global too (be it in imagery, style, fonts & even for details like how a pdf is formatted). These subtle but critical elements are well known to many professional content writers. We wish you all the success in your efforts.